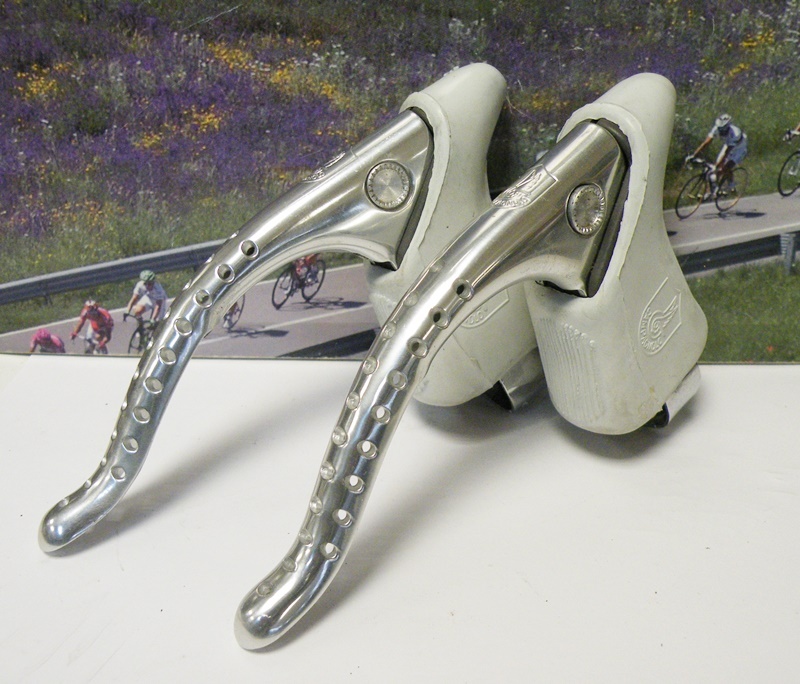 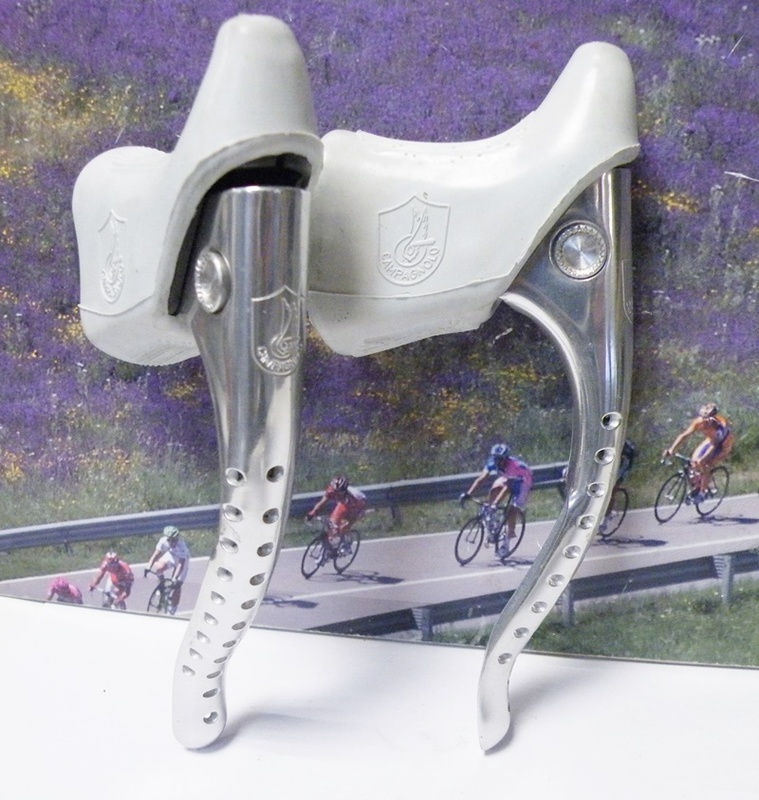 Campagnolo shield logo , white fresh hoods , drilled levers. 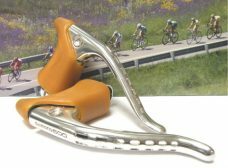 Non Aero model. 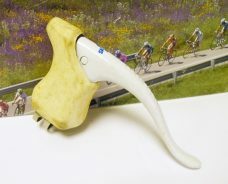 Saccon white SINGLE non aero brake lever. 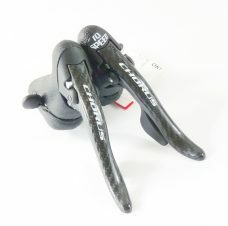 Campagnolo Chorus carbon 10 speed ergopower set.